Public Speaking: An Audience-Centered Approach outlines a comprehensive process for new public speakers to ensure they continually connect to their listeners. Authors Steven and Susan Beebe emphasize the importance of analyzing and considering the audience at every point in the speech-making process. By focusing student attention on the dynamics of diverse audiences, ethics, and communication apprehension, the text narrows the gap between the classroom and the real world. The Tenth Edition includes new speech examples that model effective public speaking, as well as updated content that helps students better understand contemporary communication opportunities and challenges. 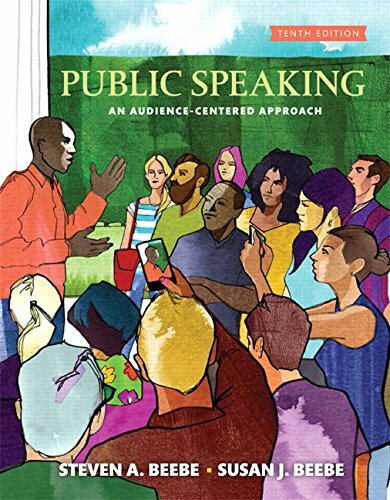 Public Speaking: An Audience-Centered Approach, Tenth Edition is also available viaRevel™, an interactive learning environment that enables students to read, practice, and study in one continuous experience.